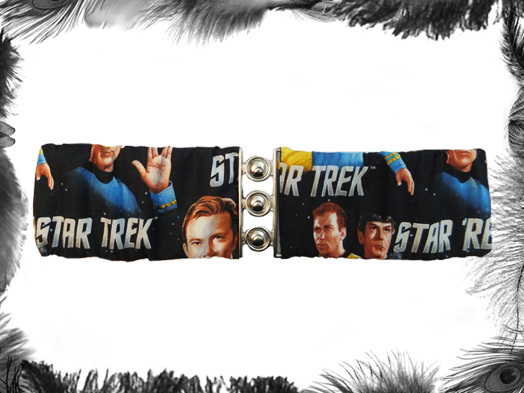 Elasticated Star Trek Kirk Spock Waist Cinch Belt. Buy a size that is about 1.5 - 2.5 inches smaller than your natural waist. IMPORTANT DESIGN NOTE: front print will vary - layout/position of the print - kirk, spock logo will vary. If you would like either kirk or spock in particular to feature on the front let us know.